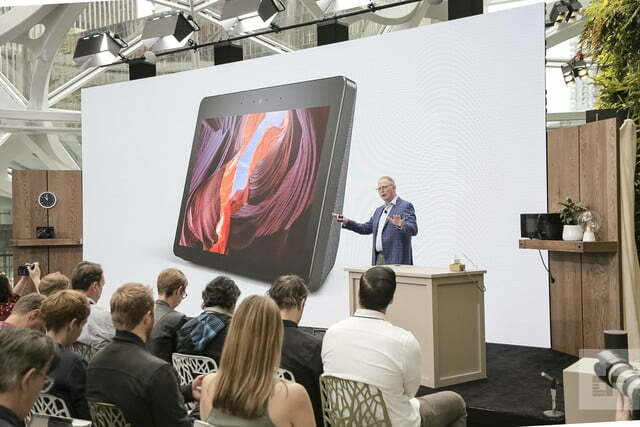 Amazon’s annual hardware event took place in September, where the company took the opportunity to rapid-fire a total of 12 new devices at us in under an hour. 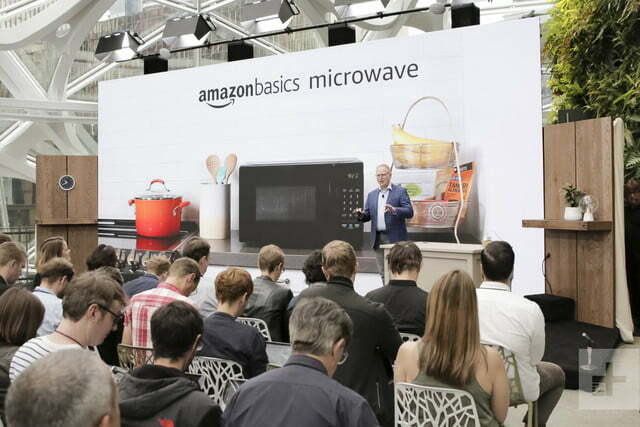 We were expecting everything from Alexa-powered microwaves to amplifiers, and that’s what we got. And then some. 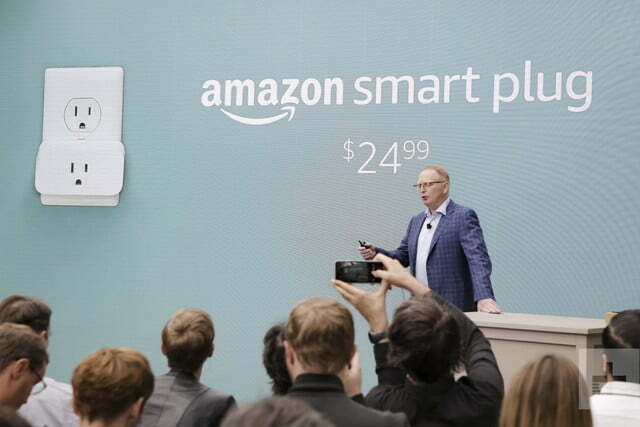 Here’s the run-down on all the new gadgets coming from Amazon, and what they’ll cost you. 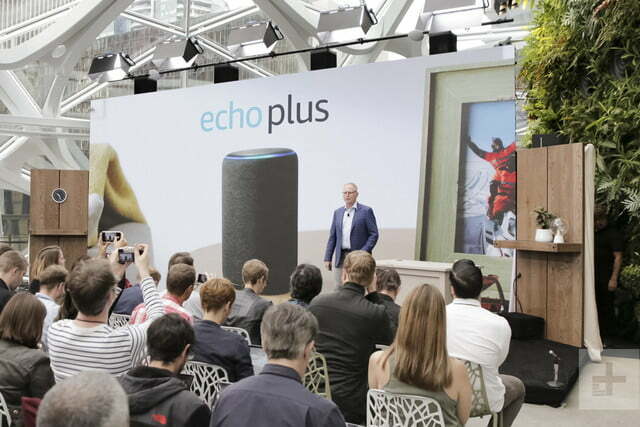 The new Echo Plus has arrived, and it packs a built-in smart home hub. 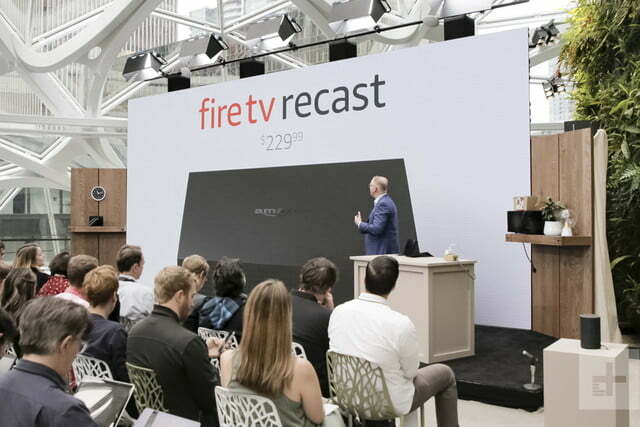 At $150 we expect it to add compatibility with platforms that haven’t previously been supported by Alexa. The device features a built in temperature sensor as well. 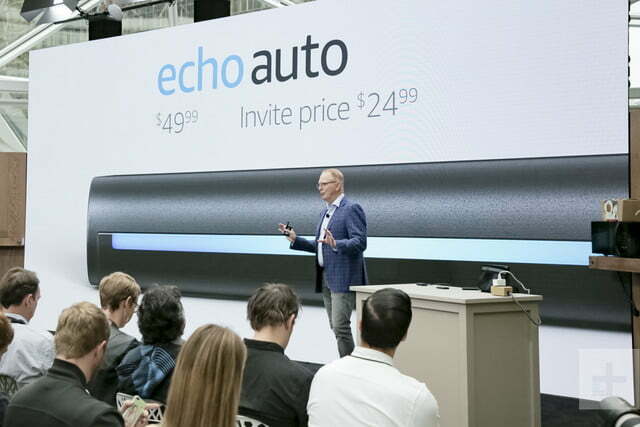 We are surprised that Amazon significantly improved the sound of the second-generation Echo Plus. It’s now Amazon’s best-sounding standalone speaker. Find our more in our review. 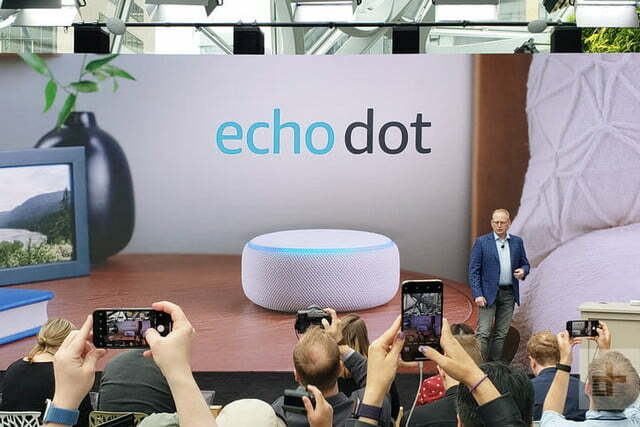 The new Echo Dot 3.0 is here and it’s $50. It’s been a couple years since Amazon’s most popular Alexa device got a face-lift. The third-generation Dot has been drastically overhauled. It’s bigger in size and loses the hockey-puck look. 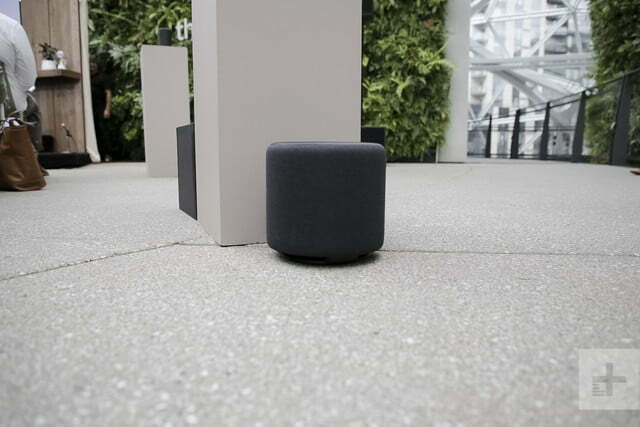 It’s covered in fabric, and is available in charcoal, heather gray, and sandstone. But the biggest change is in the sound. 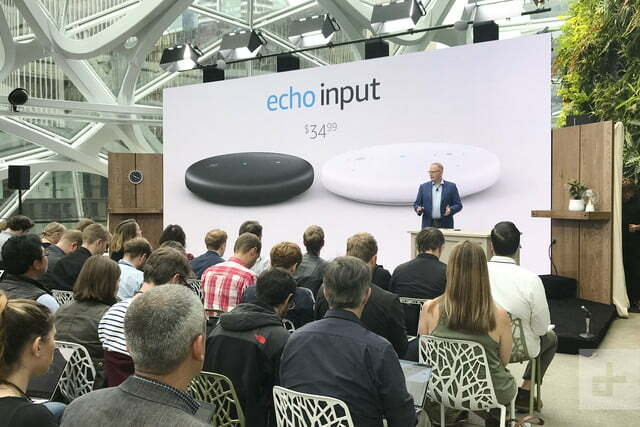 The new Echo Dot is louder and features a richer sound experience. Read more in our full review, and take a closer look at the differences between the second and third generation devices here. 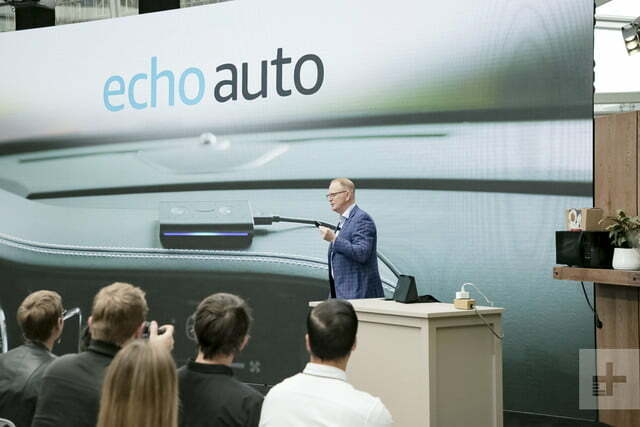 Details are scant at this moment, but there is a new addition to the Echo family: the Echo Input. 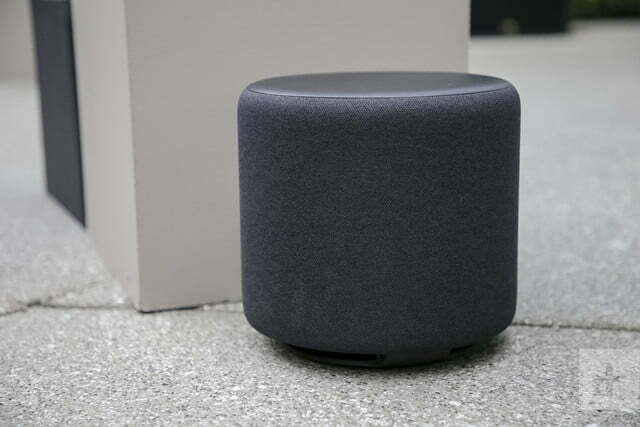 At $35 it is the least expensive and tiniest Echo device and comes as part of Amazon’s salvo to compete in multi-room music. This leads us to the, conversely, largest addition to the echo family. Finally, some bass for your Alexa-loving face! 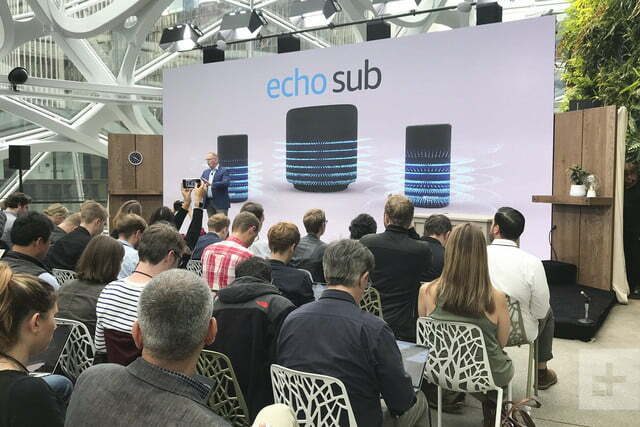 Amazon’s Echo Sub features a 100-watt amp and down-firing 6-inch driver, as expected from the leak. 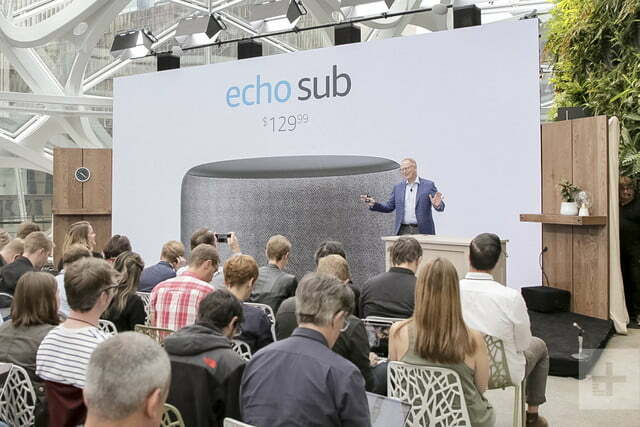 Users will simply add the sub to Echo speakers using the Alexa app. 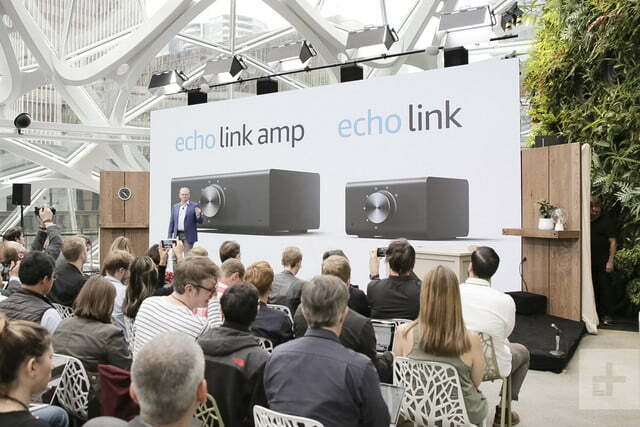 Stereo pairing of two of the same Echo speakers is also available. This device is already available for $130, and you can read our full review here. 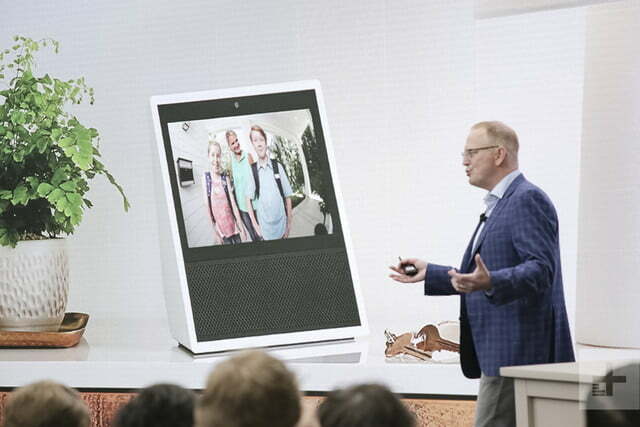 Amazon’s begging a pretty penny ($200) for its new Echo Link, a device that lets you wrangle your existing audio system into the Alexa-commanded universe. 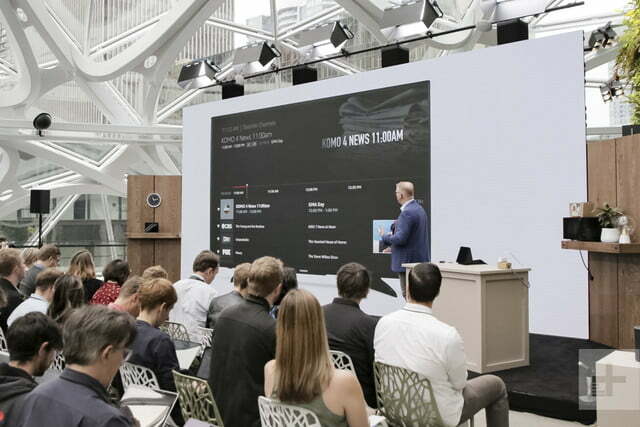 Armed with an array of inputs, to tie many devices together, it will connect to your stereo or home theater receiver and allow you to stream music to it either independently or as part of a multi-room audio system. 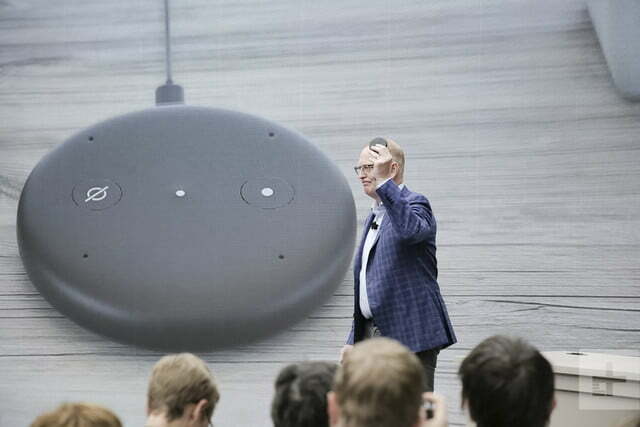 There aren’t any microphones on the device, though, so you’ll need at least one other Echo device to control it. The Link Amp adds inputs and an amplifier section for those with passive speakers who would like to reel their favorite music makers into the modern century. 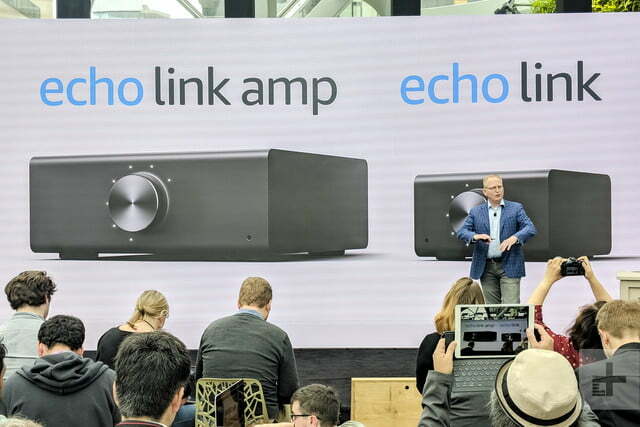 It packs 60-watts per channel and supports Ethernet connection too, possibly for high-resolution audio playback. It’s a real thing now! 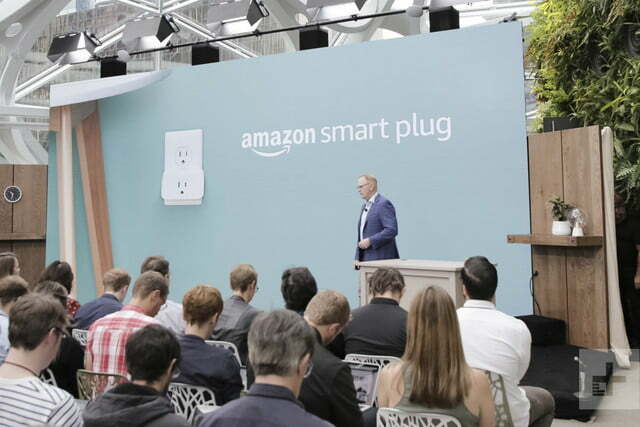 Smart home newbies look for value and immediate function, which makes the Amazon Smart Plug a logical addition to the Alexa world, but we were surprised to learn it includes a small speaker. 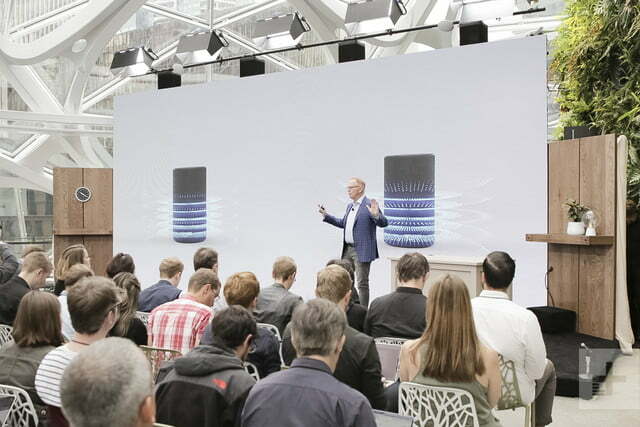 You won’t listen to music with it, but it’s one more microphone in the array that’s listening and you will be able to hear Alexa replies. 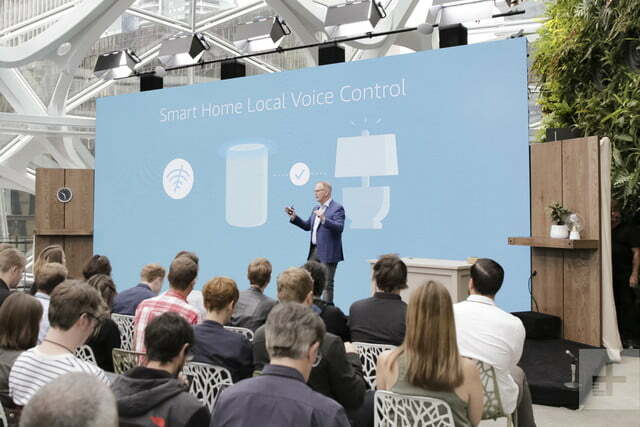 You’ll be able to name the plugs what you wish so Alexa knows which device you are trying to control. 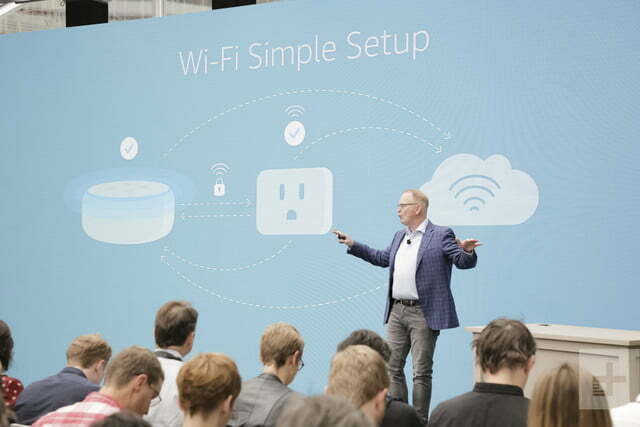 The plug goes for $25 and will allow voice control of things like lamps, air conditioners, coffee makers, and pretty much anything else you just want to turn on or off with voice. 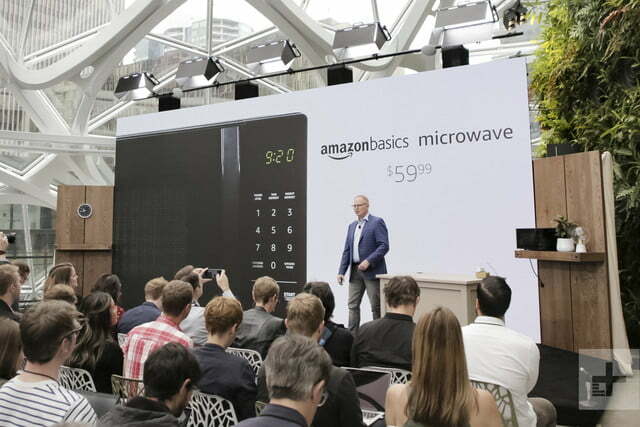 The new $60 microwave has an “Ask Alexa” button and Dash replenishment button so you can track how much popcorn you’ve nuked and have your stock replenished by Amazon’s when needed. Sadly, that’s the buttons lone function for now. Frankly, we’re shocked by the low price, but less shocked by the Dash button. What will you ask Alexa to cook for you? Didn’t see this one coming! 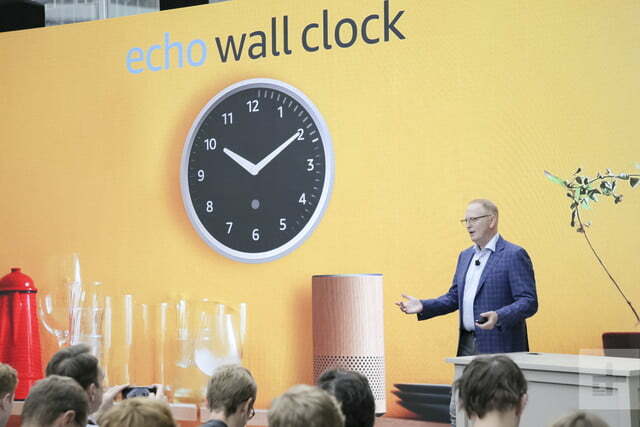 Now you can ask Alexa what time it is as you’re starting at … what time it is. 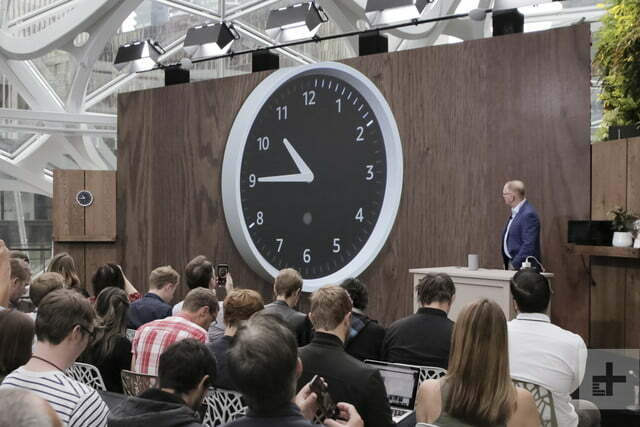 Perhaps those who never took to Analog Clocks will find this useful? 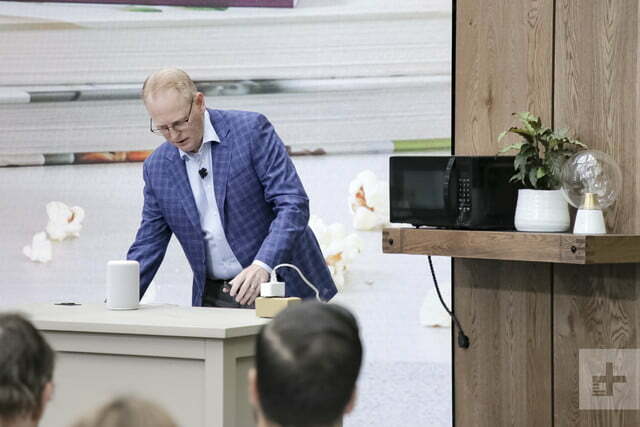 On the more practical side, it is interesting to see Amazon turning to more everyday devices we already use to give folks access to Alexa, although Amazon confirmed on January 23, 2019 that its pulling the device from the market due to connectivity issues. 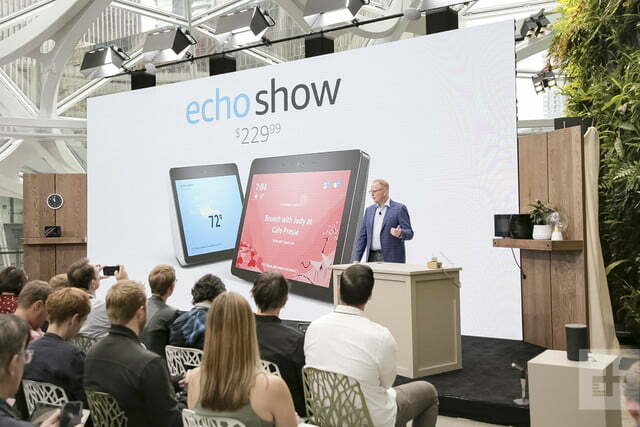 The new show looks a lot like the old version and costs the same at $230, but it’s bigger now with a 10-inch display and has some beefed up audio chops so it should sound better, too. 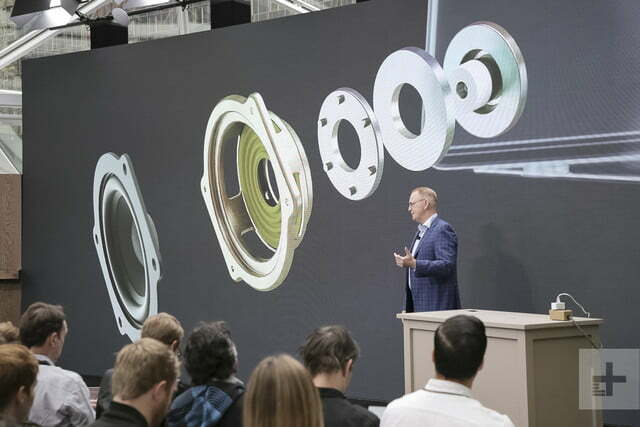 Real-time Dolby processing and bass radiators should make for a much fuller sounding display/speaker, which is a smart move for Amazon considering it is seeing competition from Lenovo and JBL in this space. 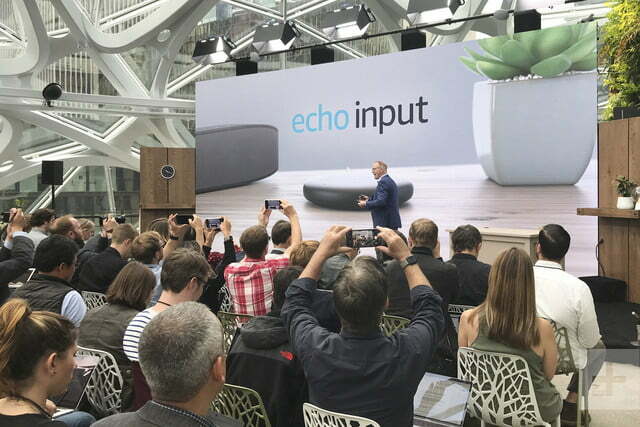 The device also features a richer sound than the first generation and like the Echo Plus is also smart hub. Read more in our full review. 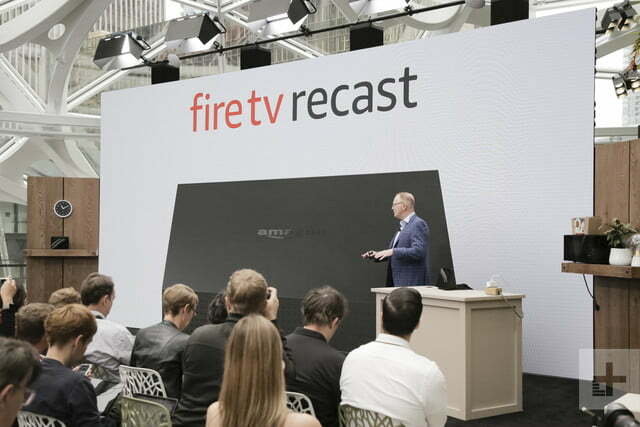 Now Fire TV owners can record broadcast TV on an Alexa-enabled DVR and stream it to their TVs using Fire TV devices and the new Echo Show. 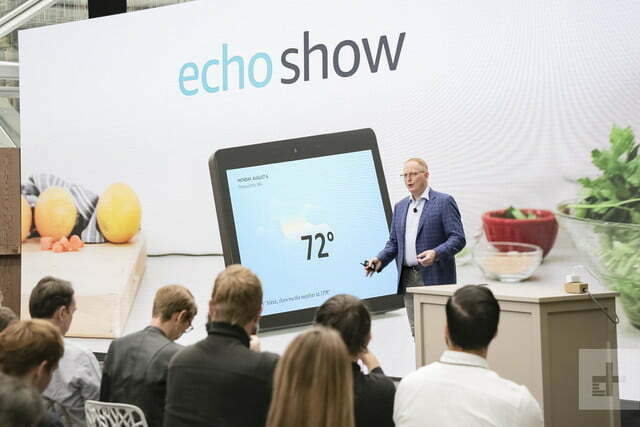 Amazon is also touting the Recast’s ability to bring Echo Show-like functionality to any display. 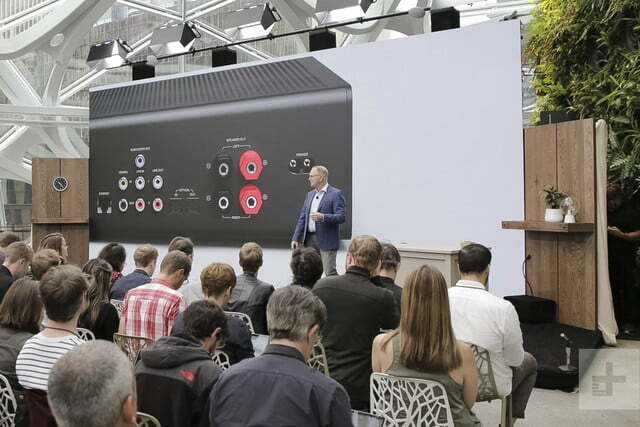 The box will apparently offer two tuners and 500 GB of onboard storage. 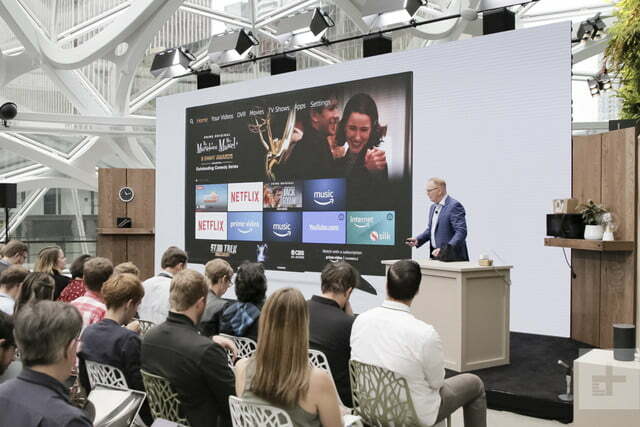 At this point, we know that users will need to connect an antenna and that Amazon has cooked up a familiar-looking on-screen programming guide to help users find and set recording times for their favorite shows. More details to come! She’s already in every room of the house, she might as well be in your car, too. 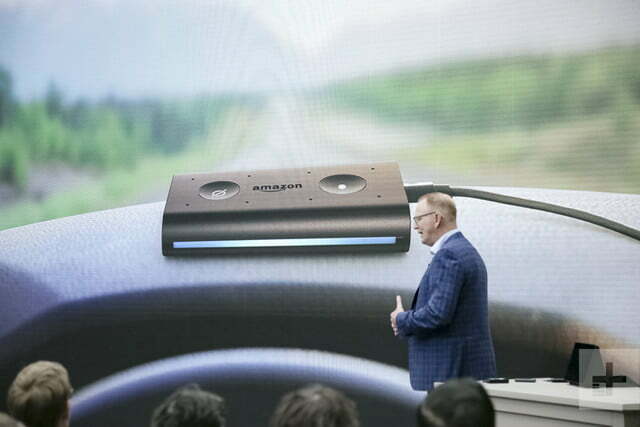 Alexa Auto looks a little like a cassette adapter for your car stereo, but it’s just a bit more advanced than that. 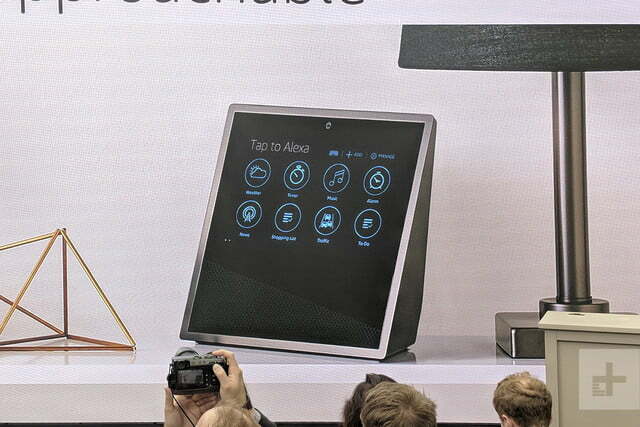 It comes with a dash mount and will apparently boot up very quickly, making Alexa available right away. 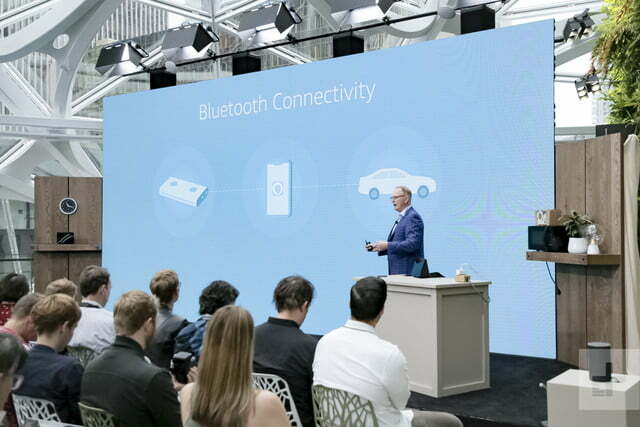 The device will connect to phones via Wi-Fi so it can communicate with the Cloud and will connect to car stereos via auxiliary cable or Bluetooth. 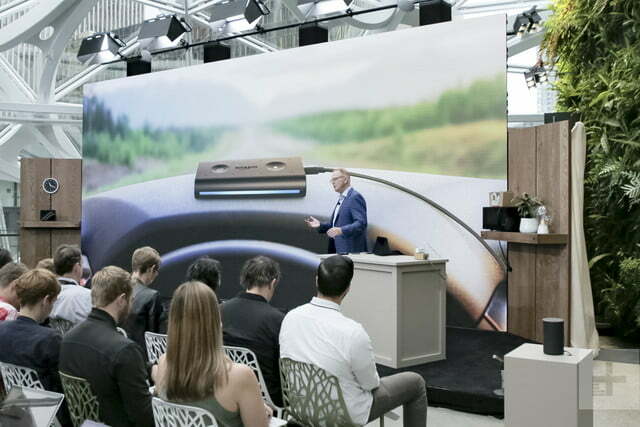 Now you can boss Alexa around from behind the wheel and have an option to Siri or The Google Assistant for voice-based music streaming. Invite pricing will be $25. 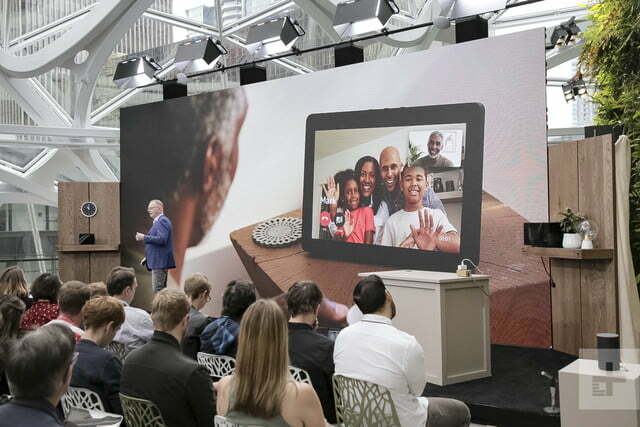 For those of us not invited, the device will retail for $50. Apparently, Amazon has been working on making Alexa more approachable. You can now whisper to Alexa, and she’ll whisper back. While Alexa-enabled devices have microphones with varying sensitivity, it’s a good bet that one will have to get up close and personal with Alexa in order to elicit this kind of response. 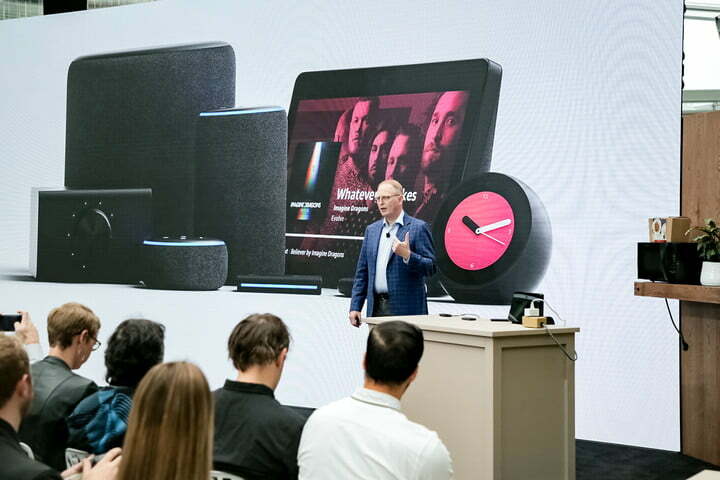 Outside of Alexa’s newfound discretion, Amazon says it is has been hard at work making Alexa smarter and easier to use. That includes kids, as well. 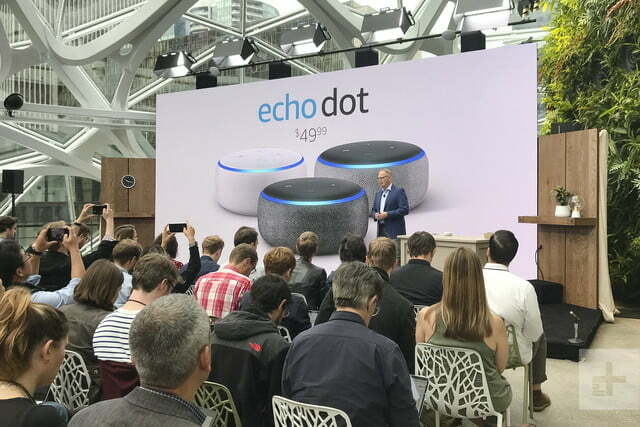 The Echo Dot Kids edition will now support routines, allowing children to more easily trigger music playback, light control, and more. 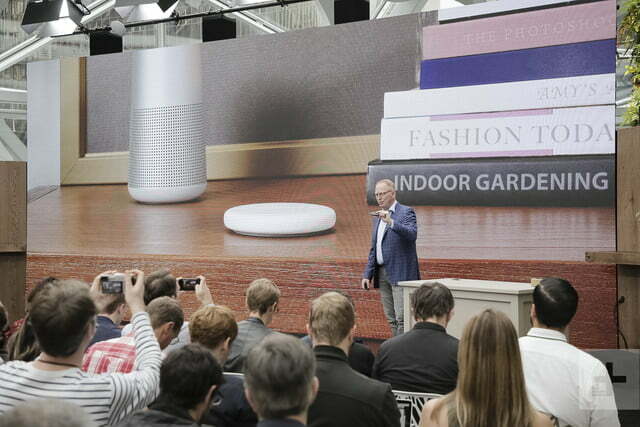 Alexa Guard is a new feature which integrates Echo devices, smart lighting, and security service providers like ADT to help protect your home while you’re away. 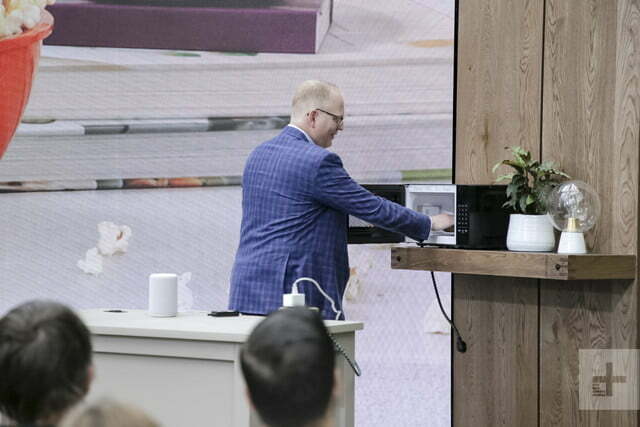 Rather than have a built-in security system that has glass breaking sensors and smoke detectors, Amazon guard allows the use of echo device microphones to detect sounds like breaking glass and third-party smoke detectors and video doorbells like Ring to work together to protect your home. 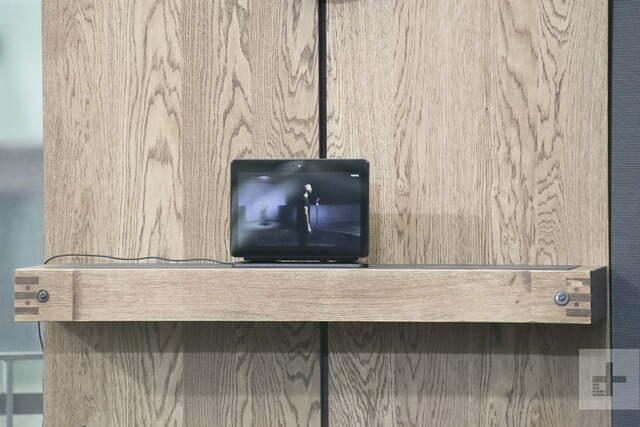 By alerting Alexa that you are leaving, the digital assistant starts actively listening for sounds which indicate something nefarious is afoot. 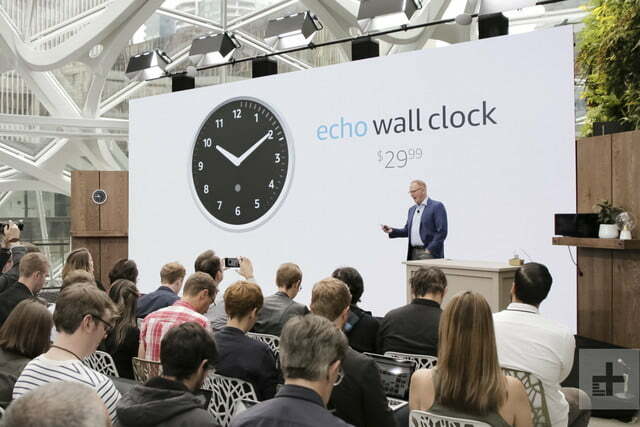 Updated January 23, 2019 to note that the Amazon Wall Clock has been pulled off the market due to connectivity issues.